As I was reading this article written by Dr Group, Global Healing, he wrote about fluoride, chlorine and the pesticides we get in our water many times ( I highlighted the paragraphs below), which I believe was one of the causes of the cancer I had (pesticides herbicides in the water). Many do not know just how many chemicals are in our daily showers and baths and how bad it is for your health. More Chlorine and other contaminants are absorbed during a 10 minute shower than are absorbed drinking several gallons water. Showering in Chlorinated water causes inflammation of your mucus glands leading to Sinus congestion, Lung Congestion and Asthma symptoms and that is just a few of the problems. Thanks to Dr Group from Global Healing for his invaluable information he shares in the post below.... 20 Reasons Why You Need a Chemical and Toxic Metal Cleanse. Everyday, we are bombarded with toxic metals and chemicals that can have a negative affect on our health. This can include the development of cancer, as well as many other diseases. There are things you can do to prevent these toxic metals from affecting your overall health. 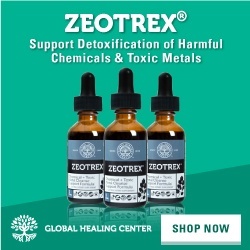 I personally recommend doing a toxic metal cleanse with Zeotrex®. 2. Many people have developed colitis from chronic ingestion of laxatives. 6. Some studies estimate 99% of the breastmilk in women residing in the United States contains measurable levels of DDT (Dichloro-Diphenyl-Trichloroethane), the first modern toxic chemical pesticide. 8. In a study where pigs were fed large amounts of synthetic B vitamins, the pigs produced sterile offspring. Synthetic vitamins provide no nutritional value-they are poisonous! 9. Chlorine, acetone peroxide, benzoyl peroxide, and nitrogen dioxide are the most common oxidizing agents used during white flour processing in the production of white bread. 14. After being inside the body for 20 minutes, Aspartame begins breaking down from its original compound into methanol, formaldehyde (a Class-A carcinogen used to embalm corpses) and formic acid (ant venom). 15. Over 70% of the world’s coffee supply is contaminated with toxic pesticides and chemicals. It’s estimated that just one cup of coffee contains more than 2,000 chemicals, many of which are gastrointestinal irritants and cancer-causing agents. Also, the high heat used in roasting coffee beans causes the natural oils to turn rancid, further contributing to its chemical load. 16. Playing and crawling on a typical floor exposes babies to contaminants such as dust mites, mold and mildew. Just one day of exposure introduces the equivalent of four cigarettes into an infant’s lungs. 18. The EPA lists over eighty “regulated” contaminants found in tap water such as chlorine, fluoride, arsenic, and numerous pesticides. This figure doesn’t even include unregulated toxins such as perchlorate (a chemical found in rocket fuel!). 19. The National Resources Defense Council (NRDC) estimates “…as many as 56 million people in the 25 states reviewed by the U. S. Environmental Protection Agency … have been drinking water with unsafe levels of arsenic…”! Arsenic is the number 1 cancer causing agent! 20. Bottled water, infant formulas, toothpaste, mouthwash and even vitamin supplements, now contain fluoride! 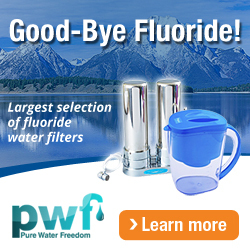 Fluorides are more toxic than lead and only slightly less poisonous than arsenic. 1. 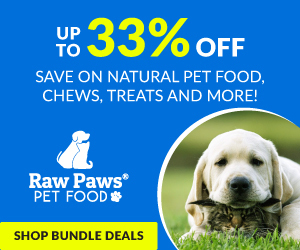 Center for Food Safety and Applied Nutrition. Blood and hair mercury levels in young children and women of childbearing age. Centers for Disease Control and Prevention. 2001 March 2. 50(08);140-3. 2. United States Environmental Protection Agency. America’s children and the environment, a first view of available measures(PDF). 2000 December. 3. Epstein SS. Potential public health hazards of biosynthetic milk hormones. Int J Health Serv. 1990;20(1):73-84. Erratum in: Int J Health Serv 1991;21(2):373. 4. Michael F. Jacobson PhD. Press conference on salt: the forgotten killer(PDF). Center for Science in the Public Interest. 2005 February 24. 5. R D Morris, A M Audet, I F Angelillo, T C Chalmers, and F Mosteller. Chlorination, chlorination by-products, and cancer: a meta-analysis. American Journal of Public Health. 1992 July. Vol. 82, No. 7, pp.955-963 doi: 10.2105/AJPH.82.7.955. 6. Natural Resources Defense Council. Arsenic in Drinking Water.